Truly one of a kind home in the heart of King Field! Features include an open floor plan with cherry hdwd floors and cabinets, granite counters, s/s appliances, a custom fp surround with tv mount in the living room, sliding glass wall leads out to large deck with private yard, remodeled custom master bdrm/bath with white sugar oak wood floors/tile and a large walk in closet, fully finished lower level includes a large family room, bdrm and full bathroom, large garage. Close to everything! Directions: Nicollet Avenue south between 39th and 38th on the east side. I was searching for a Property and found this listing (MLS #4993050). 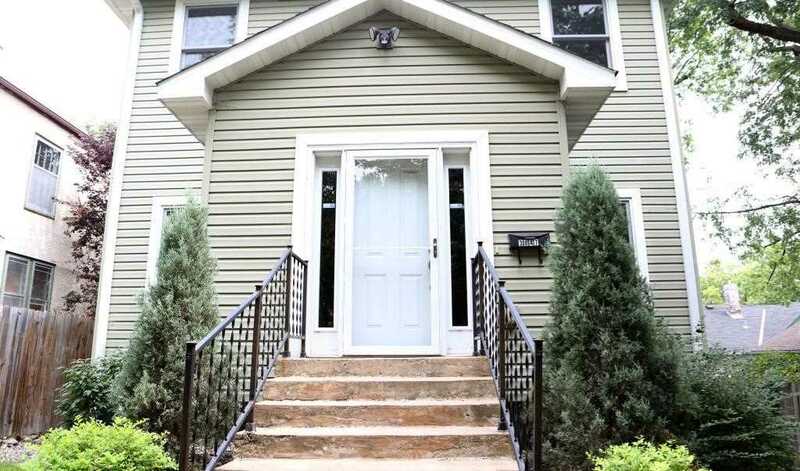 I would like to schedule a showing for 3847 Nicollet Avenue Minneapolis, MN 55409. Thank you! I was searching for a Property and found this listing (MLS #4993050). Please send me more information regarding 3847 Nicollet Avenue Minneapolis, MN 55409. Thank you! MLS® 4993050: This property at 3847 Nicollet Avenue, Minneapolis, MN 55409 is located in the King Field subdivision and is listed for $510,000. MLS® 4993050 has been on the market for 249 days.